Starting the new year focusing on all things healthy including healthy hair. 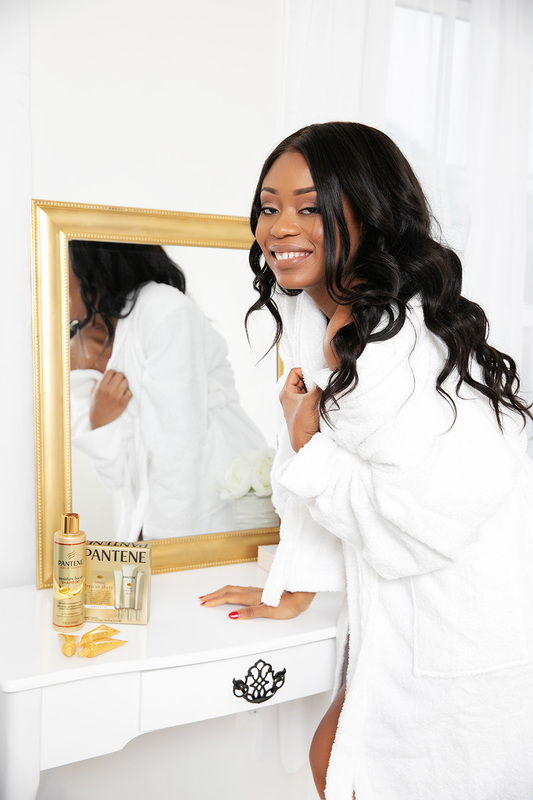 Healthy hair requires proper maintenance with the right product. Whether it's your natural hair, extensions or hair unit, the right product can make a huge difference. In the past, maintaining my hair has been a struggle. Since I often switch up my hair style for my blog photo shoots, I often rely on frequent visits to the hair salon for assistance which can be costly and time consuming. 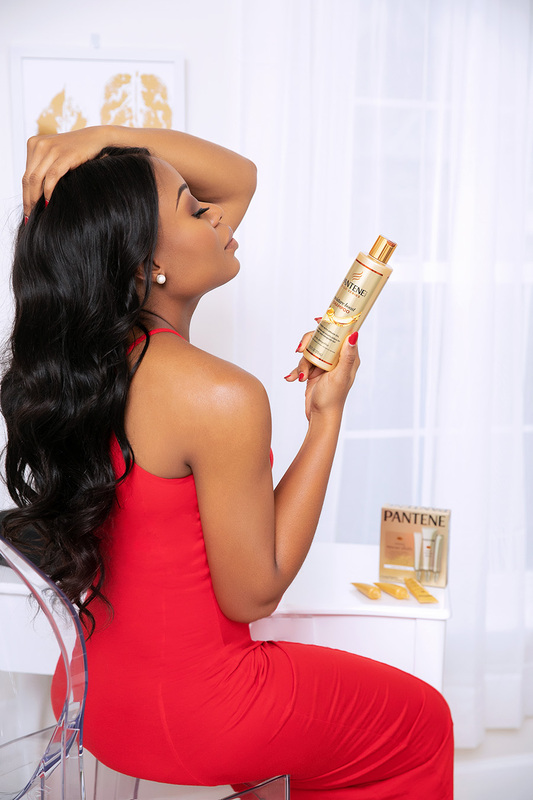 When it comes to hair maintenance, whether it's my natural hair or hair unit/extensions, I find it hard to find the right product that I can use at home to keep up with my constant hair changes, maintaining and preventing extreme damage until I came across Pantene Pro-V Intense Rescue Shots. I typically wear protective human hair wigs which just like any natural hair can damage hair if not properly maintained. My protective hair unit tends to dry up and get frizzy from constant styling and heat application. 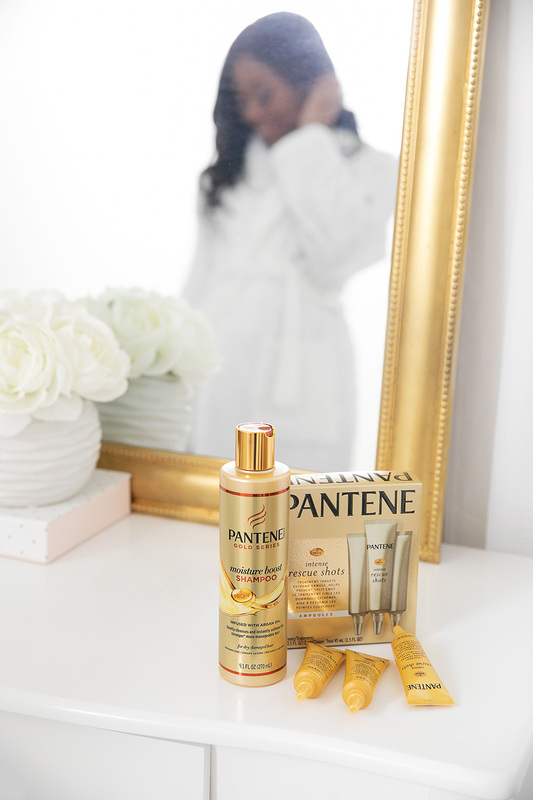 Recently, I got to partner with Pantene and try their new Intense Rescue Shots imported from Brazil that just launched in the U.S. in January. This is an at-home hair rescue treatment that repairs damaged hair. I have been using it for some weeks now with noticeable changes to my hair. It has saved me constant trips to the salon because the Pantene Pro-V Intense Rescue Shots delivers salon-like hair. 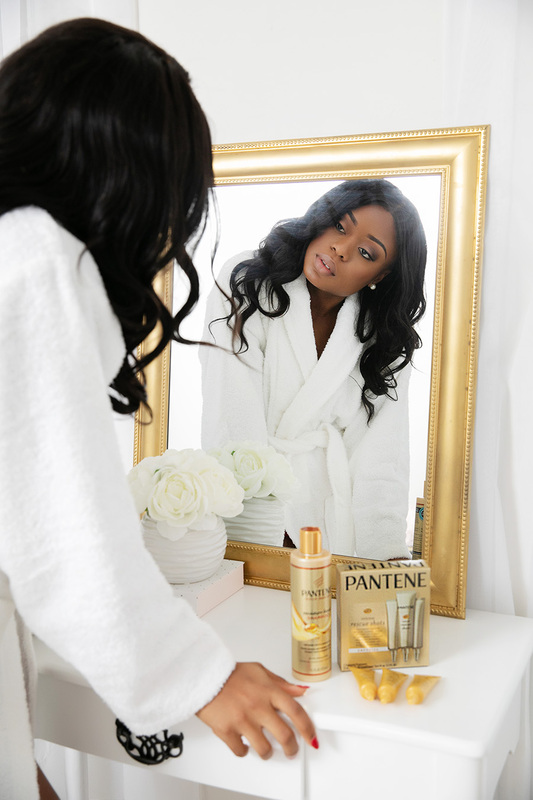 With my busy life and schedule, I love products that are simple to use with great results, the Pantene Pro-V Intense Rescue Shots treatment is simple to use and it has been amazing. First, you squeeze a small size amount of a Pantene shampoo of your choosing and wash your hair as you normally would. 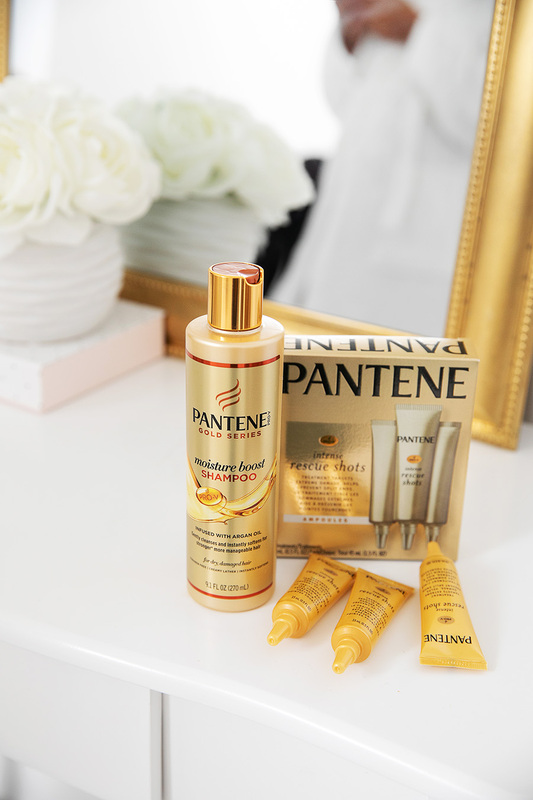 I use the Pantene Gold Series Shampoo infused with Argan oil. It helps my dry and damaged hair with instant softening. Then, once a week, you start the Pantene Pro-V Intense Rescue Shots treatment. You apply the single-dose tube onto your damp hair and massage from root to ends focusing on areas that see the most damage. The great thing about this product is that it was formulated to prevent overdosing so there is no need to hold back. After you apply the product all over, leave it in for 30 seconds and then rinse for 30 seconds (be mindful not to over-rinse). I have noticed tremendous changes to my hair unit. The treatment noticeably repairs damaged hair and transforms the dry hair. The single-dose tube contains a deeply absorbing blend of Pro-Vitamin B5, strengthening lipids and natural glycerin that targets the damaged areas to give hair the flexibility and resilience it needs to endure styling and environmental stresses. One of my favorite benefits about the Pantene Pro-V Intense Rescue Shots treatment is that it delivers salon-like hair between professional treatments. Unlike other hair masks, Pantene's Intense Rescue Shots provides deep-conditioning but rinses quickly to avoid weighed-down hair. The Pantene Pro-V Intense Rescue Shots are available for purchase right now at CVS.com – see here! Beautiful all around. Gonna check this out!